What do the children enjoy most when a volunteer from the New Generation Church visits their orphanage? It’s the time, attention, and love of an adult who comes to visit! Simple things like jumping rope, hula hooping, and demonstrating gymnastic skills become a precious afternoon outside the drab orphanage walls, when you have a loving adult to share them with you. Tanya learned the girls’ ambitions during her visit: Nastya dreams to be a doctor, Veronika wants to be a police investigator, and Alexandra would like to be a veterinarian. 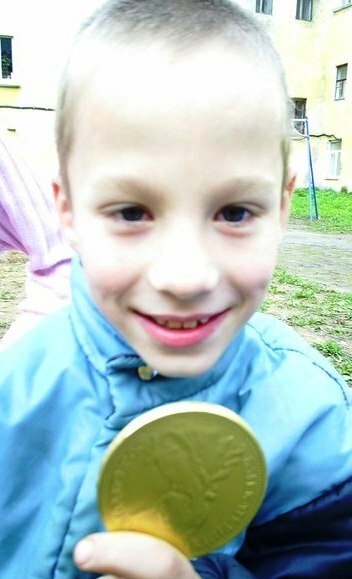 We did not learn little Pasha’s vocational goal, but he was certainly a happy little boy when he won the prize of a golden medal made from chocolate! As Tanya departs, the children plead for her to return soon. And, they ask: Can Tanya please bring children’s books, puzzles, and games when she returns? Tanya’s visit and similar visits to other Russian orphanages are made possible through your partnership with Big Family Mission. Thank you and God bless you for your prayers and financial support! 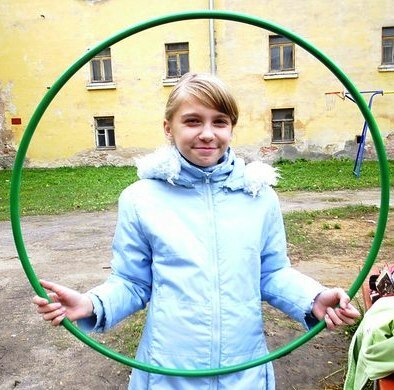 Learn how you can get involved with Big Family's ministry to Russian orphans: learn more here. 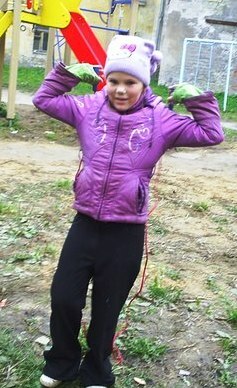 Nastya learns to jump rope!